I grew up loving my Cabbage Patch baby doll. I loved it so much I kept it for my own kids. Perhaps you did the same thing. But the biggest problem I've faced is their clothes don't last long. You want to gift your doll to your little one and you say "Here is my adorable doll. Hope you love the threadbare cabbage patch doll clothes!" Um....no ones going to want that. Plus, have you ever tried to wash clothing that is falling apart? Not fun. I am right?! And if I'm honest, my 17" Cabbage Patch Doll clothes are a bit dated. Not that my kids probably care, but it is always nice to have "in fashion" toys. For some reason my 12" Cabbage Patch Doll's always have super dirty clothing. I'm hoping these new doll clothes patterns will wash up much nicer than the old ones. Let’s start with a couple questions that are asked frequently about Cabbage patch doll clothing. 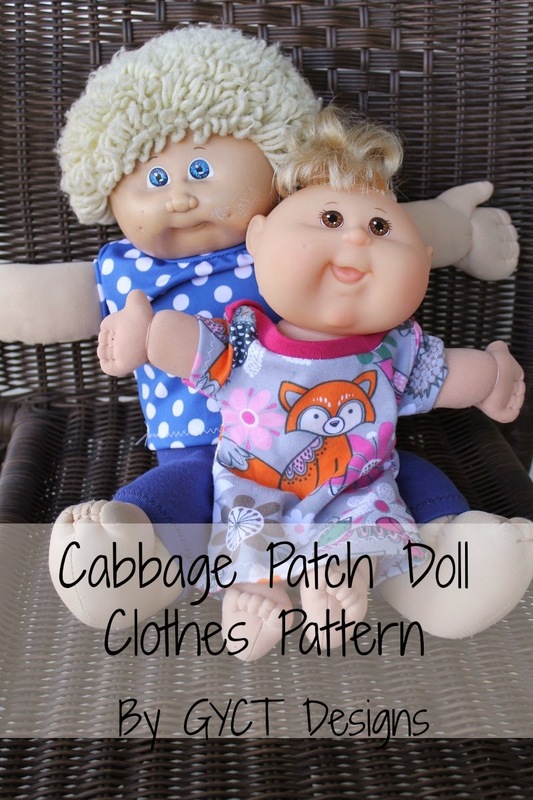 What size clothes do I make for a Cabbage patch doll? That’s probably the biggest question people have. What size doll clothing will fit my cabbage patch doll. That all depends on the doll you have. I personally have a 12” and a 17” Cabbage Patch doll. There are a few other sizes like the newborn dolls, but the doll patterns below are specifically for the 12” and 17” dolls. If you are not sure what the difference is in the babies, the baby on the left is the 12" doll and the 17" doll is on the right. 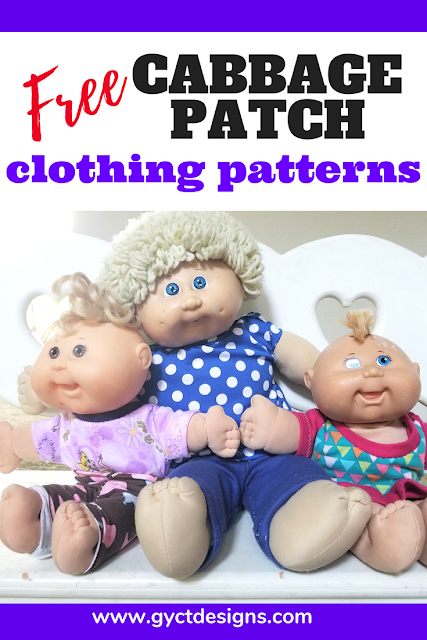 What Cabbage Patch clothes patterns do you offer? Since I have access to a 12” and 17” Cabbage Patch doll, the cabbage patch clothing patterns available are for these two sizes of dolls. I have drafted and digitized 3 patterns in the 2 sizes. The patterns include dress, bodysuit/t-shirt and leggings for both sizes. Each doll clothing pattern is designed for use with knit fabrics. 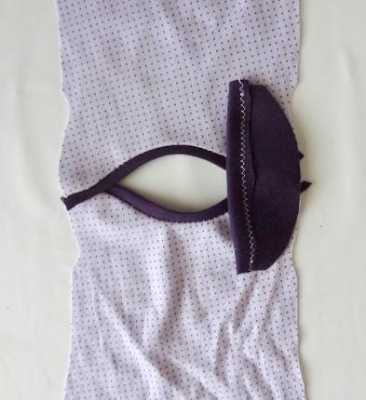 This is to help with the stretch over the head as well as easy care in washing. The dress and bodysuit are lapped. 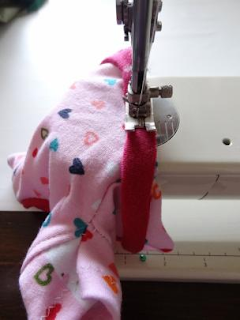 This allows for the doll clothes patterns to fit easily over the head. The leggings have a yoga style knit waistband to help with easy fit on and off. This is a great stash buster project or a fast gift for birthdays or holidays. You can get the leggings tutorial HERE. What materials do I need to make Cabbage Patch doll clothing? First, you’ll need fabric. 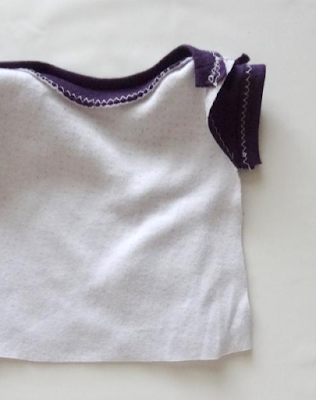 These doll clothes patterns are designed to be sewn with knit fabrics. Knit fabrics have stretch. If you aren’t familiar with sewing on knit fabrics, check out our Tips and Tricks for Sewing with Knits. If you aren’t sure where to purchase knit fabrics, we have a huge list of places to purchase knit fabrics. We’ve used many of these retailers and have readers that love them. Second, you’ll also need snaps for the bodysuit. I personally like to use KAM snaps, but you can use metal snaps as well. Watch as I sew up the 12" doll clothes live below. 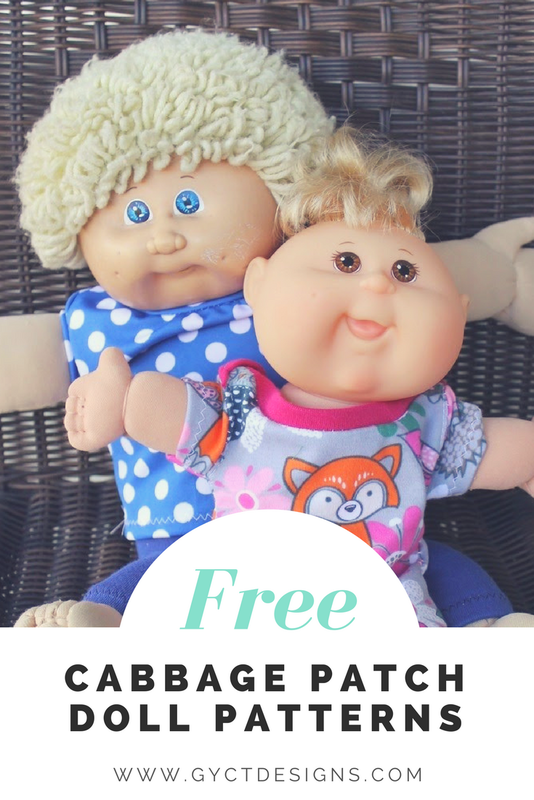 How do I get my free Cabbage Patch doll clothes patterns? You can grab the 12" Baby Doll pattern and the 17" baby doll pattern for free by simply joining our GYCT mailing list. The pattern pieces will be emailed right to your inbox and you can download after you confirm your subscription. Just click the link button below. Just want the Cabbage Patch dolls clothes patterns and full tutorial and none of the hassel? Get them ALL for download for just $2.50. No need to access the internet each time you want to make your own. Take your two sleeve pieces and fold the straight edge up 3/8” towards the wrong side. Using a zig-zag stitch or stretch stitch, hem the sleeves. 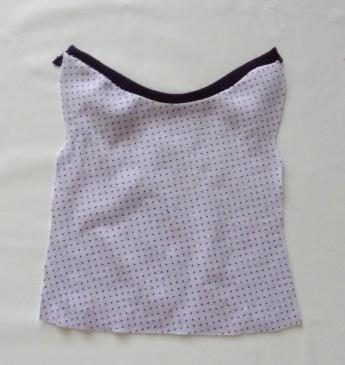 Take your top front and one of the neckband pieces. 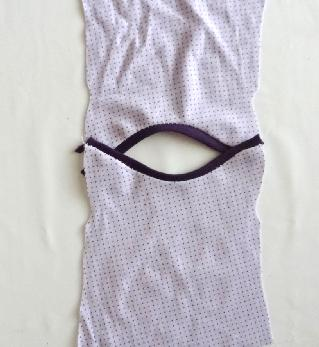 Fold the neckband in half lengthwise. Pin the neckband across the neck on the top. 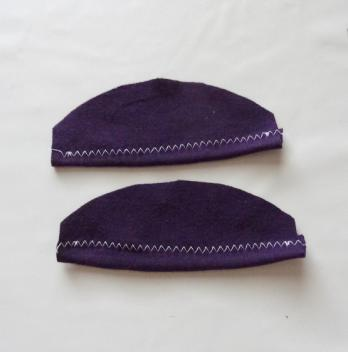 Using a zig-zag or overlock stitch, attach the neckband to the top. Repeat with back piece. Overlap the back piece over the front piece at the shoulders about ½”. 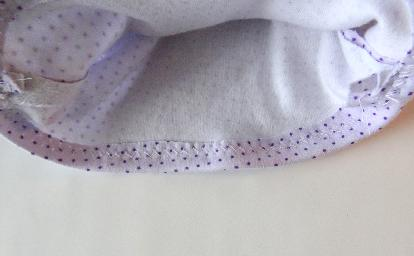 Add a basting stitch at the armhole to keep the pieces in place. With right sides together (RST), pin the sleeve around the armhole. Stitch in place. Repeat with opposite side. With RST, place front and back of top together. Stitch down the side seam. Repeat with opposite side. Continue to Step 6 for dress or t-shirt. Skip to Step 8 for bodysuit. 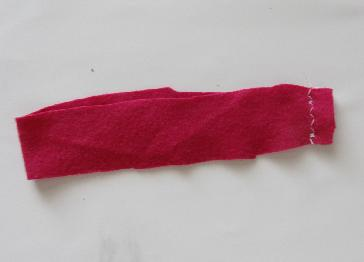 Take the legband piece and fold it in half, matching short sides. Stitch across the short sides. Now you should have a circle. Fold the band in half with wrong sides together. Carefully stretch the legband aroundt he hem of the bodysuit. Pin as you go, stretching slightly. Stitch the legand to the bodysuit. You should stretch the band slightly as you sew so that the band will fit on the bodysuit. Press the legband. If you’d like to use a double needle to topstitch around the band, do so now. Finally, add a snap or Velcro at the bottom of the bodysuit so it will stay closed. Congratulations! 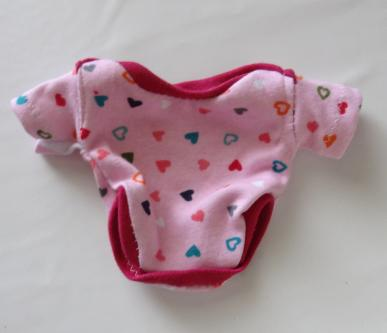 You've made some adorable clothes from these free doll clothes patterns!!! Make sure to join our GYCT Designs Facebook Group so you can share your cute creations. And don't forget to check out our Free Cabbage Patch Leggings Pattern.